What a long story, and today I can tell a piece of it that has had to remain under wraps for the last year or so. First, a summary of how UserLand came to be. In 1988, I had an idea for scripting software on the Macintosh. I loved the Mac for its graphic ease of use, but I missed the user-level programmability of Unix, and felt that combining the two would yield great results. I wanted to turn applications into toolkits, to let you combine a word processor and database with an outliner and a spreadsheet to make an integrated app that's customized to how you or your organization works. Technically, the idea worked, but as a product it failed. By 1993, I was ready to move on, so I did, I left UserLand and later in 1994, discovered the wonders of the web, and I wanted to figure out how to use it as a communication system for people. In 1995 or 1996 I got a prophetic email from Mason Hale, who had discovered Frontier and thought it would make a wonderful environment for CGI scripting. He was right, but I came to wish I had never gotten that email. Seriously. I revived UserLand, without cleaning it up at a corporate level. I poured money and time into it again, and the results were pretty fantastic. News sites became weblogs. Cross-platform inter-application communication became XML-RPC and then SOAP. XML syndication became My.UserLand and RSS. Edit This Page became Manila. Lots of innovation, but the company went through two boom cycles and never participated in the bonanza. Looking back, there are a lot of reasons for it, and one of them was that I should have taken the time to get a fresh start in the mid-90s, and I didn't do it it. Finally in 2002, at age 47, after struggling through the release of Radio 8, I collapsed physically, was lucky to have survived, and as I recuperated from major heart surgery, I decided to quit UserLand, to leave behind all possible upside, just walk away from it, glad to have gotten away with my life. Once again, I made the same mistake. I should have hired a new attorney to document the transition, but I thought that everyone involved would be glad I survived, and would understand that I was finally moving on, for real. Then in 2003, after everyone but Jake Savin and Lawrence Lee had left UserLand, my brother and I decided to revive the company. Again, for a third time, I made the mistake of not carefully creating a legal basis for this. I thought everyone understood what they had agreed to do, and we would all do it. Again, I should have taken the time to get an independent attorney to look at the deal, but I didn't. By 2005, weblogs.com, one of the many sites I was caring for personally, as a labor of love, had been growing exponentially. A year earlier it was doing 100,000 pings per day. By the spring of 2005, it was doing two million. I had reprogrammed the server a dozen times, each time stripping out functionality, buying more hardware. I hired a contractor. It co-existed with competing ping servers from well-funded companies, and I came to realize more and more over time that, as an individual, I was way out of my league. Weblogs.com was becoming something a person couldn't operate, it required the resources of a company. One day, when I was living in Florida, I happened to be talking with Keith Teare, an old friend, who was doing consulting work with VeriSign. I broached the question, would they be interested in taking over weblogs.com. He asked, and they said yes. It took a few months, and here's a key point, this time I did get new lawyers to do the deal, including Mike Arrington (a friend who is now famous for the awesome TechCrunch weblog), and along with some great people at VeriSign, we put together a careful deal to transfer weblogs.com to VeriSign. The day the deal was leaked was one of the best days and one of the worst days of my life. Through all the incarnations of UserLand, I had one lawyer, Jack Russo, and he was very angry with me after the deal. Before I could even talk with him, he was threatening to sue. All the turns in UserLand, that I had done informally, were now coming back to haunt me. Eventually the threats turned into a real lawsuit, filed in Santa Clara County Court, around the time I was buying the house in Berkeley. I've spent over $40,000 in legal fees defending myself, while Russo presumably spent much less because he's a lawyer. I think that was the central part of his strategy, he knew I would have to spend money to defend myself, where he wouldn't have to. Anyway, I wanted to write about this here, and I almost did several times. But on Friday, we got a decision from the court that agreed with our position, so now I feel that the future is pretty clear, and that if I want to clean up the mess that UserLand has become, now I have the ability to do so. It will still cost me personally many thousands of dollars, but it's a price I have to pay for having cut corners over the years. If I want my freedom, a bunch of lawyers and accountants and the government have to be paid. So be it. I learned a very important lesson here, one that my friend Jason Calacanis said at the OPML Road Show in NYC in 2005. If a deal is worth doing, it's worth documenting with a good agreement. Anyone who is doing business with me these days knows that I have embraced this ethos wholeheartedly! Wish I had been following it through the 80s and 90s. A word to the wise. The EVDO card arrived today. It took a bit of fussing to get it working, but it does work now. When I use it downstairs I only get two bars on the connection strength graph, and it disconnects so often as to make it useless. Upstairs I get five bars and it's stayed up for over an hour now. It's a lot slower than my DSL, slower even than DSL over wifi. Disappointing, but the tech support person at Evdoinfo assures me that it's normal. I'll run some formal performance tests and report back. 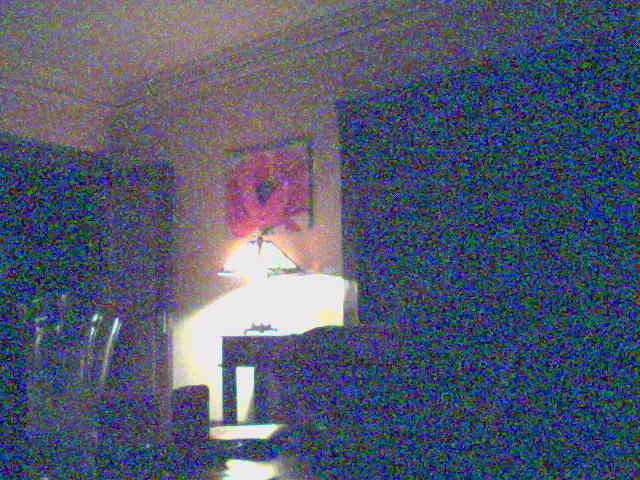 Last update: Monday, March 12, 2007 at 9:57 PM Pacific.